Refresh and update your bath with our Casotto mirror. Easy to install and ideal for any sized bath space. Capturing the essence of the Xena series - sleek, modern, and constructed with modern style melamine and premium glass, this chic, off-center wood mirror is the perfect addition to your home and bathroom. It can be installed both vertically and horizontally. It measures 24 in. across, and 32 in. vertically. Frame comes in a magnificent white finish. The Colton 24 inch mirror captures attention with its stunning Basil Green finish, solid birch wood frame, and moulding details. It is constructed with top quality and includes a wall cleat for easy hanging. This mirror is a perfect companion of the Colton vanities. 24 inch W Casotto Mirror Refresh and update your bath with our Casotto mirror. Easy to install and ideal for any sized bath space. 24 inch W Casotto Mirror is rated 4.5 out of 5 by 2. 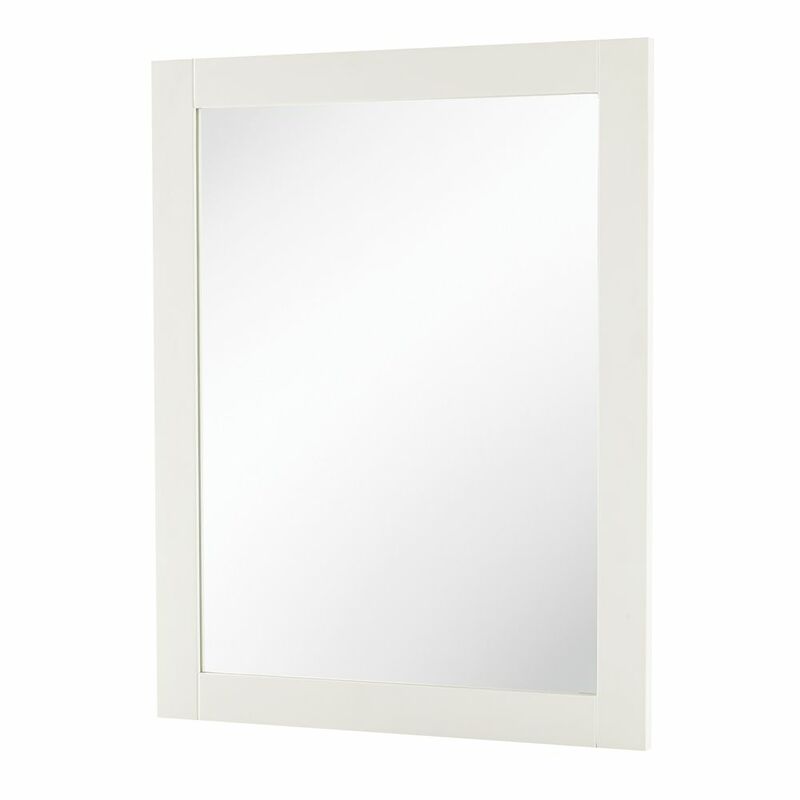 Rated 4 out of 5 by Heya from Nice unit This is a very nice mirror it can hang both ways and has a nice finish, it’s very over priced for a mirror with a simple white frame around it.